After a year and a half Barbara’s back, alive and well following a near death experience that she will share with all. She’s created a whole new platform to uplift your life including renowned Divine Guidance Private Consultations – global via phone – open for limited registration a few times a year. With her final eight books being released you will be able to attend live, in person HEADLINE EVENTS to help you with the issues most important to you. Check back daily for many updates, services, free help, now available for advanced placement new global positions to bring you income and so much more. A very Special Ten Year Anniversary when Barbara became a “dot com” on June 20, 2001 – watch for special surprises and gifts! Thank you for your love, patience, and prayers, we are always here for you. 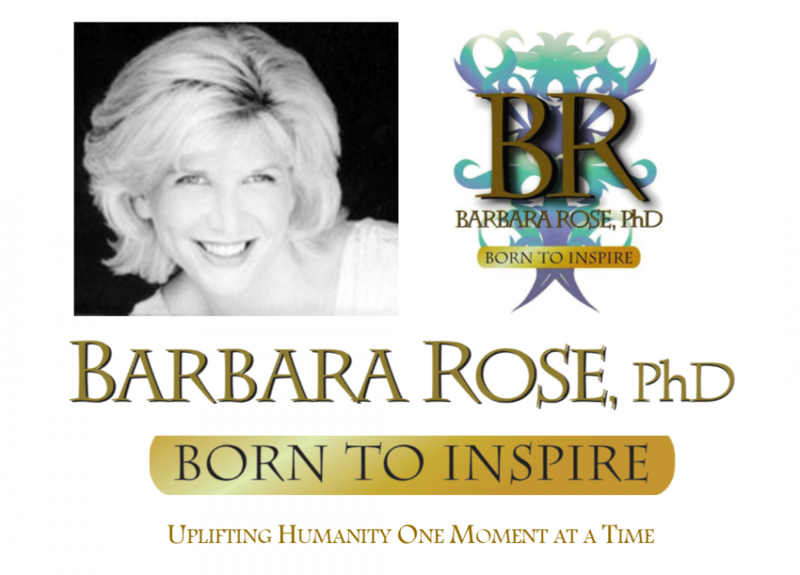 This entry was posted in Browse Pesonal Growth and tagged Barbara Rose PhD, Barbara Rose releasing final 8 books, BORNTOINSPIRE, Tempted by Death by Barbara Rose, PhD |Born To Inspire | Bestselling Author| Life Transformation Expert. Bookmark the permalink. You are so, so correct in your thoughts on these 5 different topics. I wish good health & much happiness. Looking forward to hearing about your experience and happy you are well. I too had a near death experience and still have many questions that have gone unanswered and somedays just barely hanging on…..but there is always hope and it can start with just one person, YOU!